The dirty bird is a fun little cocktail that you'll likely find very familiar. It is, essentially, a white Russian with a quick shake added at the end. Everything else remains the same, including the vodka, coffee liqueur (e.g., Kahlua), and cream. The ratio of the ingredients is slightly different and it's lighter on the alcohol, so it's a nice low-proof drink. For a fun twist of flavor, tequila is a popular alternative to the vodka. 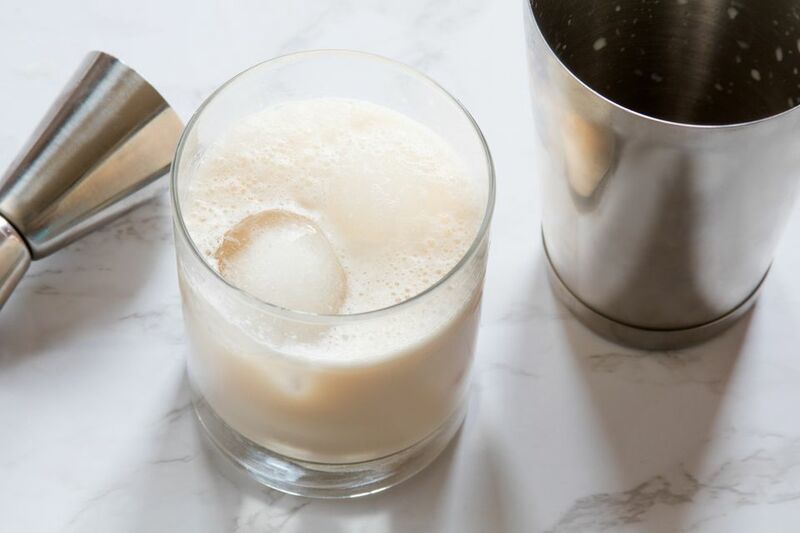 This has been a semi-popular mixed drink in bars for quite some time, though it doesn't have the long history of the white Russian (circa the 1960s). It more than likely came about in the 20th century's last couple of decades. There may also be a link between the name and the "Dirty Bird" touchdown dance of Jamal Anderson, a running back for the Atlanta Falcons from 1994 through 2001. Whatever its story, this is a great tasting drink that's quick to mix up. Pour the vodka and coffee liqueur in a double old-fashioned glass filled with ice. Add the half and half. The key to shaking this drink in the serving glass is to ensure you have a tight enough seal with the shaker tin so the liquid doesn't leak out. Test the fit of the two vessels before adding the ingredients. It also helps to leave a little room at the top of the glass. Use a large old-fashioned glass and don't fill it to the rim. Just in case, wrap a towel around the bottom of the glass and shaker to catch any splashes. Alternatively, pour everything into your cocktail shaker, give it a couple shakes, then pour it all into the glass. Half and half is a great choice for cream cocktails served on the rocks because it's neither too thick or too thin. If you like, use milk or cream instead. Dairy alternatives, such as almond, rice, or soy milk can work as well. A drink like this does not require the best liquor to taste good because of the cream's heavy flavor. You can save a little money by pouring a good budget-friendly vodka or tequila. Mix the dirty bird up with a flavored vodka that complements the coffee and cream. Vanilla, chocolate, or whipped cream vodkas would be excellent options. You can also give it a caffeine kick with an espresso vodka. How Strong Is a Dirty Bird? Compared to similar drinks, the dirty bird is a light cocktail. Its alcohol content should fall somewhere around 13 percent ABV (26 proof), which is half of the average white Russian. That makes it a perfect option when you simply want a casual and delicious drink.